Sometimes one comes across a jewellery combo that feels so right one is willing to sell off all the rest of one’s gems because clearly one will never wear anything else again. 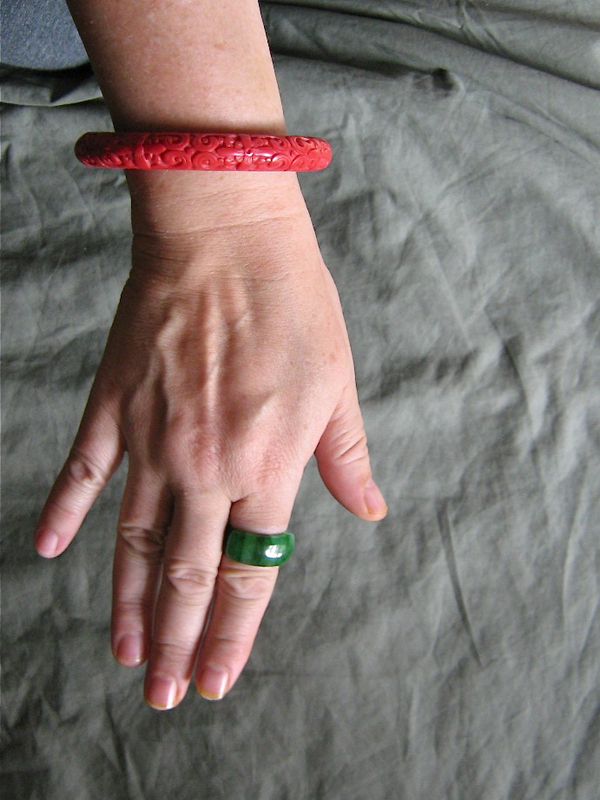 I found this plastic faux cinnabar bracelet for 50 cents at the St. John’s Thrift on the Danforth. It looks so perfect with my Chinatown saddle ring that I considered supergluing them to my right arm. I mean, we all know that I’m fickle and need jewel variety, but for the moment I will imagine that this is my new signature look.